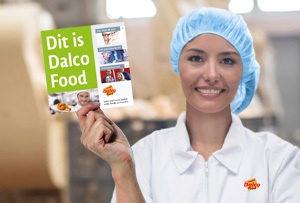 Working at Dalco means working in an innovative and enthusiastic company. Of course we can tell you why you should come to work with us. We even give you 7 reasons. Would you rather want to know what your potential future colleagues say about working at Dalco? Read their experiences. There is an open and relaxed atmosphere at Dalco in which everyone can be himself. People work with pleasure in all levels of the company, making delicious things. Our enthusiasm can be noted throughout the company. We are all prepared to go the extra mile: for customers and for each other. Some people have worked at Dalco for more than 40 years. Over the years, they have grown along with the company. With new employees, a lovely cross-fertilisation process arises that stimulates process development. Dalco employs people of many different nationalities in a good mix. Together we create a pleasant and professional working atmosphere. Every day, we love going to work. Would you like to do that too? We give you 7 reasons to apply today. Our enthusiasm is contagious. We take every opportunity and receive new ideas with open arms. We quickly take everyone up in our group. Open communication is the core. People of 23 different nationalities work for us. That is why we speak Dutch at the workplace . Creativity is the key. Good ideas form the basis of our success. Freedom and responsibility for everyone. 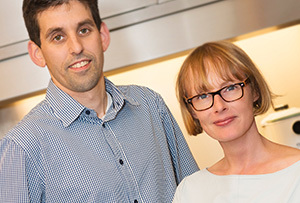 All our employees have their own task, which allows us to achieve the best results together. There are plenty of opportunities for growth. Everyone gets the chance to develop themselves. Thus you bring out the best in you. The product is everywhere. We are close to the end product, making your input tangible. You can gain experience in the sector. We like to guide you and even arrange extra training if you need it. Do you have another reason to work with us? Apply now and tell us about it.